The most comfortable weighted vest! TKO's 40 lb. 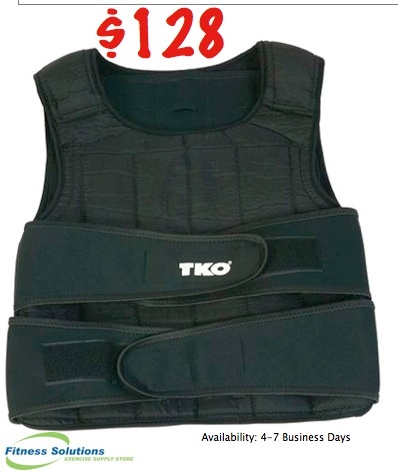 Adjustable Weighted Vest includes 38 1 lb. SOFTSTEEL" weights. The vest features ultra-soft gel foam padding for extra comfort and a lightweight, breathable mesh design. Fully adjustable hook & loop closures provide a secure fit.